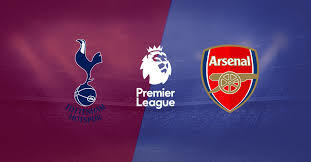 On Saturday, in the battle for supremacy in North London, it was eerily obvious who the better team was, at least for a large spell of the game. Arsenal looked distinctly inferior in every department, and their reluctance to take the initiative and play their game shows a mental inferiority that I haven't seen in Arsenal when playing against Tottenham. And I've been watching the derby for almost 20 years. While talk of a power shift is immature and a tad too dramatic (Tottenham needs to start winning trophies first) Arsenal have lost both the footballing and mental advantage they had over Tottenham. Previously, it used to be that any Arsenal team fancied itself against any team from their rivals down the road, but that seemed to have evaporated and the advantage now lies on who shows up on the day, or just tactics and other footballing factors. And there are myriads of reasons for this. Reasons both footballing and tactical. Arsene Wenger might have changed English football, but his prowess is on the wane and his technical skills, which were pioneering and avan-garde when he arrived on English shores, have been mastered by many others, while some have just bought relentlessly until they caught up. In Pochettino, Tottenham have a modern coach, and even if he doesn't have the awe inspiring or trail blazing aura that Wenger refreshed the English game with when he came, he still has an obvious tactical edge on the Frenchman. Yet, the real question is, how real is it if Tottenham, during these lush periods, fail to win any silverware? The answer is, they would be lost in history, while the same history would mention Arsenal won three FA Cups in four years under Arsene Wenger, who might even remain on the books as the most successful manager in the competitions history.